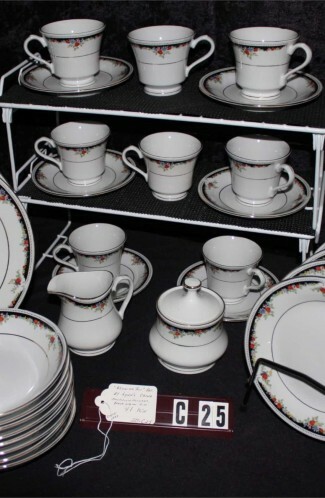 Vintage - This beautiful "Wheaton" Pattern #5414 was made by Noritake China between 1953 and 1967. 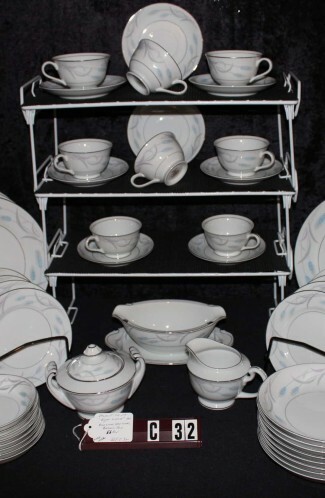 The Noritake Logo is on the bottom of the pieces. We are offering a (35) Piece Package. The Pattern consist of a 22kt Gold and Silver Wheat on a White Background with a 22kt Gold Rim. 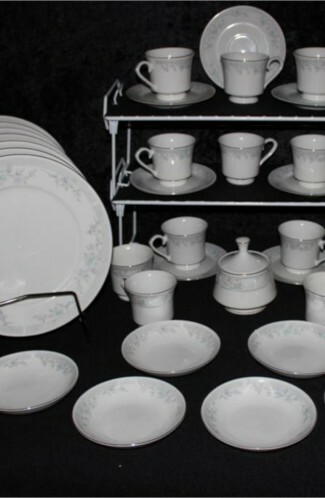 Easily a Service for (4) Four with extras and Accessory Pieces. A great time to add pieces to your existing "Wheaton" Set. 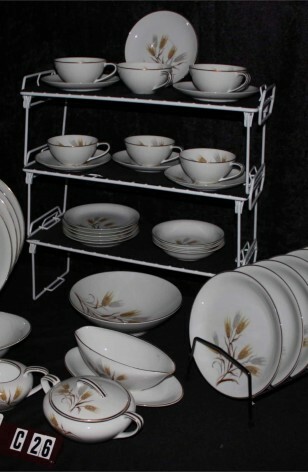 5 - Bread & Butter Plates - 6 1/4"
6 - Salad Plates - 8"
4 - Dinner Plates - 10 1/2"